Detlev GLANERT: Requiem for Hieronymus Bosch (2016). David Wilson-Johnson (voice), Aga Mikolaj (sop), Ursula Hesse von den Steinen (m-sop), Gerhard Siegel (ten), Christof Fischesser (bass), Leo van Doeselaar (org), Netherlands Radio Choir, Royal Concertgebouw Orchestra, Markus Stenz (cond.). 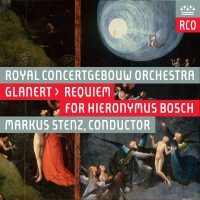 Royal Concertgebouw Orchestra RCO17005 (1 SACD) (http://www.concertgebouworkest.nl/). A marauding concert requiem easily mistaken for Shostakovich’s Symphony No. 14½. Possibly calculated for maximum post-concert chatter. MAYBE. Dmitri SHOSTAKOVICH: 24 Preludes, Op. 34 (1933; arr. Lera AUERBACH, 2010). 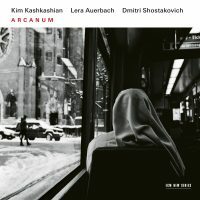 Lera AUERBACH: Arcanum (2013). Kim Kashkashian (vla), Lera Auerbach (pno). ECM 2375 (1 CD) (http://www.ecmrecords.com/). The duo proceeds with a delirious intensity through a delicious, satiric conception of the Preludes, contrasting Auerbach’s grim sonata. YES. 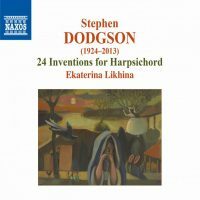 Stephen DODGSON: 24 Inventions for Harpsichord: Set One (1955), Set Two (1961), Set Three (1970), Set Four (1985). Ekaterina Likhina (hpsi). Naxos 9.70262 (1 CD) (http://www.naxos.com/). Likhina’s playing is faultless, but these innocuous and undeveloped “Inventions” are neither contrapuntal nor reflective of Bach. SORRY, NO. 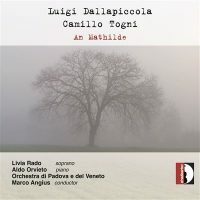 Luigi DALLAPICCOLA: Piccolo Concerto per Muriel Couvreux (1939-41)1; An Mathilde (1939-41)2. Camillo TOGNI: Helian di Trakl (1955)3; Variazioni, Op. 27 (1946)4. Livia Rado2,3 (sop), Aldo Orvieto1,4 (pno), Orchestra di Padova e del Veneto, Marco Angius (cond.). Stradivarius STR 37041 (1 CD) (http://www.stradivarius.it/). Mid-century Italian compositions that are both serial and lyrical are scarce. These obscure pieces are well executed but never cuddly. MAYBE. 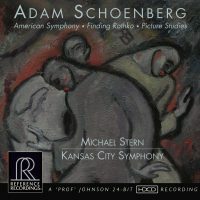 Adam SCHOENBERG: Finding Rothko (2006); American Symphony (2011); Picture Studies (2012). Kansas City Symphony, Michael Stern (cond.). Reference Recordings RR-139 SACD (1 SACD) (http://www.referencerecordings.com/). These regressive and tacky contemporary pieces packaged in flimsy containers might suit those who find John Williams far too avant-garde. NO. 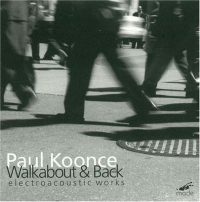 Paul KOONCE: Walkabout (1998); Hothouse (1992); Pins (1996); The Flywheel Dream (1994). mode 90 (1 CD) (http://www.moderecords.com/). Four intensely detailed, animated electroacoustic pieces in which a car horn might transform into an oboe, or a typewriter into bongos. YES.